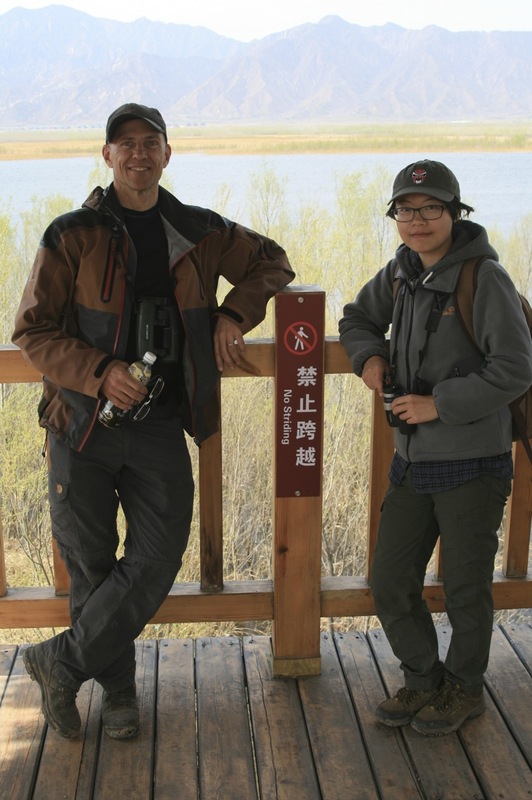 Birding in Beijing is brilliant at any time of year but, during spring migration, it’s hard to beat and there are so many highlights from Sunday’s trip to Yeyahu Nature Reserve with Per Alström and Zhao Min that it’s hard to know where to begin. Birding with Per has many advantages, one of which is his encyclopaedic knowledge of China’s birds, especially pipits and wagtails. So perhaps it should not be a surprise that an encounter with a mixed flock of more than 70 pipits and wagtails at Ma Chang produced Beijing’s second ever MEADOW PIPIT (草地鹨). Initially found by Min and identified by Per, this bird was the undoubted rarity highlight but there were so many other great moments – the 21 ORIENTAL PLOVERS (东方鴴), displaying EASTERN MARSH HARRIERS (白腹鹞), GREATER SPOTTED (乌雕) and SHORT-TOED EAGLES (短趾雕), SAKER (猎隼), a flock of 90+ BAIKAL TEAL (花脸鸭), displaying ASIAN SHORT-TOED LARK ((亚洲) 短趾百灵), a flock of 52 WHITE WAGTAILS (白鹡鸰) that included 3 subspecies – leucopsis, ocularis and baicalensis – and a flock of ‘eastern’ ROOKS (秃鼻乌鸦) – a possible future new species? We started at Ma Chang, a reliable spot for ORIENTAL PLOVER (东方鴴) in early April. It’s important to arrive here early as this site is extremely popular with horse-riders, motorised buggies and even people driving imitation tanks, so it’s hopeless as a birding destination at the weekend after around 0800. We were fortunate to find a single ORIENTAL PLOVER (东方鴴) with a flock of 30+ KENTISH PLOVERS (环颈鴴) and, later, we found a flock of 21 OPs in agricultural fields just east of the main site. 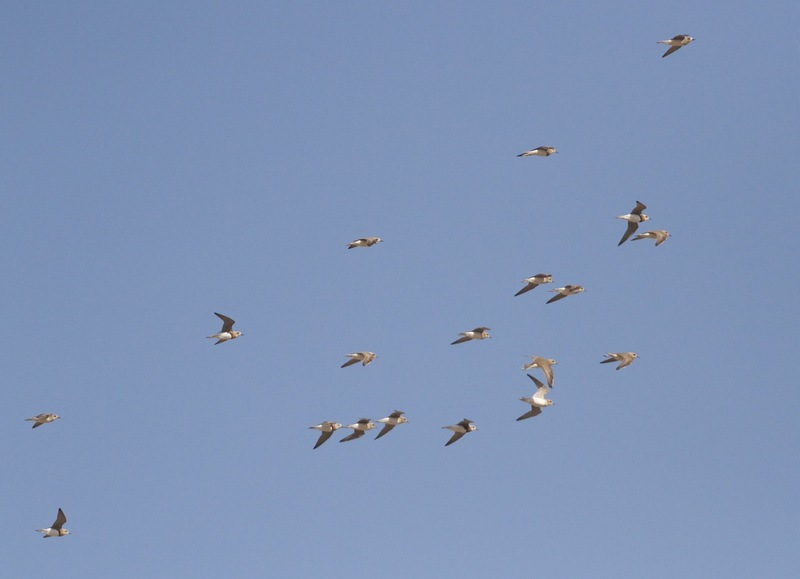 These birds – that winter in Australia – are special and one of the signs that Spring has arrived in Beijing. 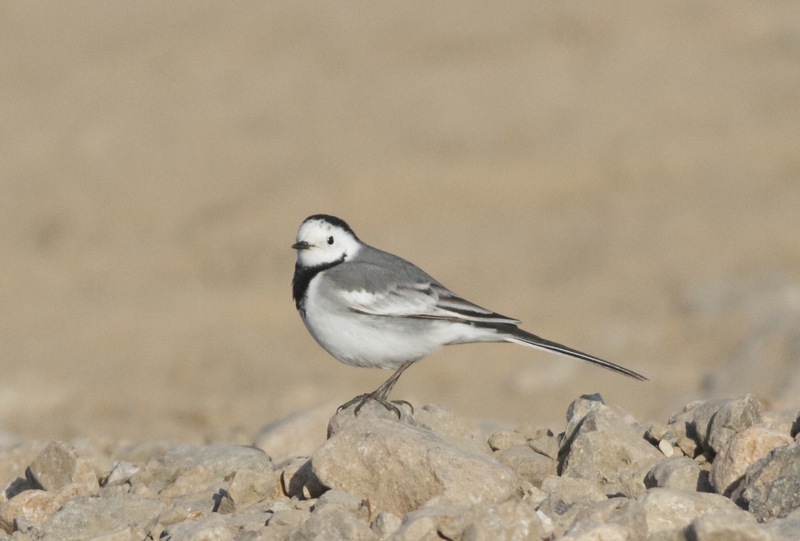 After enjoying the pipits, wagtails and plovers, as well as a beautiful male MERLIN (灰背隼) that buzzed us before sitting up on a stand of maize, we headed off to Yeyahu Nature Reserve. This adult male Merlin (灰背隼) was a nice sighting at Ma Chang. 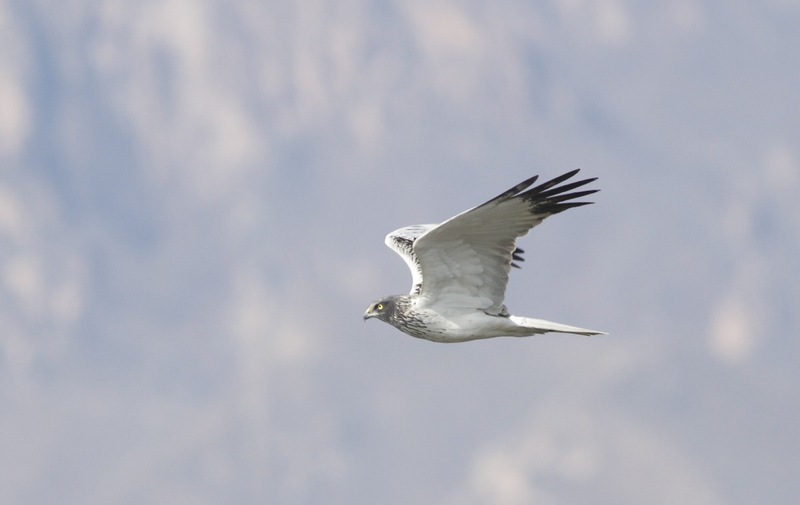 At Yeyahu we enjoyed the spectacular sight of displaying EASTERN MARSH HARRIERS (白腹鹞), newly arrived and preparing to breed. These are stunning raptors, the males in particular, and this adult male made a close pass when were in one of the tower hides.. awesome! 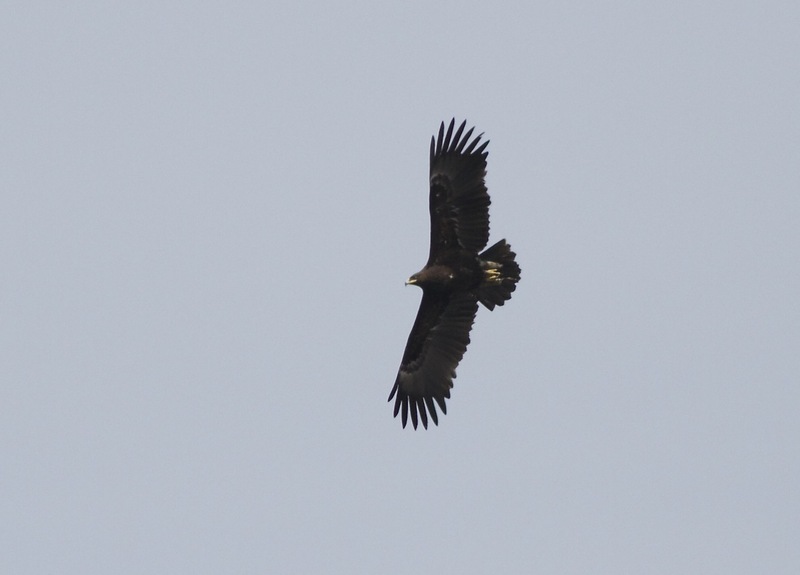 EASTERN MARSH HARRIER (白腹鹞), Yeyahu, 6 April 2014. Is there a more spectacular raptor anywhere? 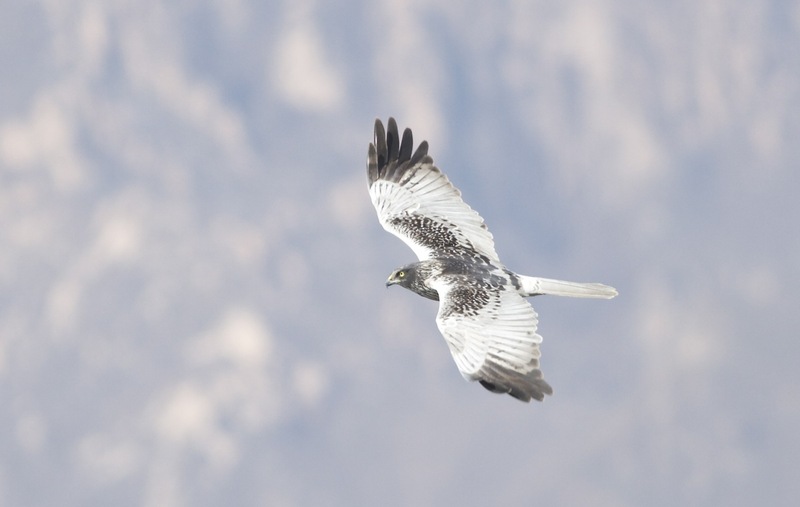 EASTERN MARSH HARRIER (白腹鹞) ‘buzzing’ us at Yeyahu. 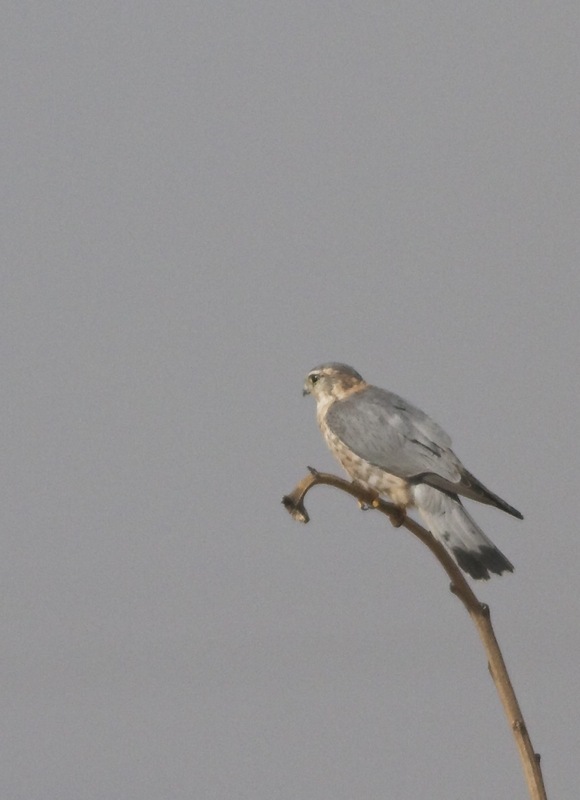 Two GREATER SPOTTED EAGLES (乌雕) added to our raptor list which, by the end of the day, had reached 10 species and bizarrely missing COMMON KESTREL (红隼)! In stunning spring weather (and clean air!) we enjoyed so many other highlights on a day that produced a total of 81 species. Just before dusk we were treated to a magnificent flight of ducks that included MALLARD (綠頭鴨), SPOT-BILLED DUCK (斑嘴鴨), PINTAIL (针尾鸭), COMMON POCHARD (红头潜鸭), FERRUGINOUS DUCK (白眼潜鸭), SHOVELER (琵嘴鸭), GARGANEY (白眉鸭), COMMON TEAL (绿翅鸭) and, just as we had hoped, BAIKAL TEAL (花脸鸭). A flock of at least 90 of the latter wheeled around in the fading light – a magnificent sight and a fitting end to a wonderful day at this world-class birding site. BAIKAL TEAL (花脸鸭). Part of a 90+ strong flock that wheeled around just before dusk. Big thanks to Per and Min for their company on a day that will live long in the memory…! Per and Min (being careful not to ‘stride’) at one of the hides at Yeyahu NR, 6 April 2014. 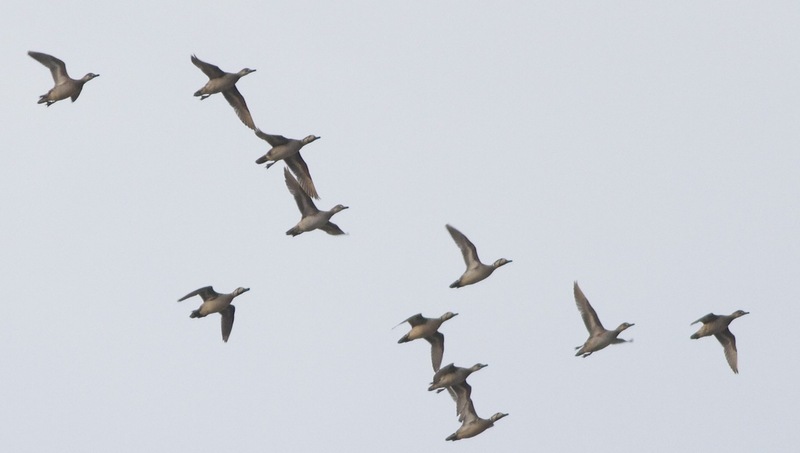 BAIKAL TEAL Anas formosa 花脸鸭 a flock of 90 plus a separate flock of 70, which could have been different birds.